Today I want to talk about Leopard print. It’s a bit of a marmite pattern, some people love it and some really can’t stand it. To some it conjurs up images of the famous Pat Butcher from Eastenders, with her AMZINGLY massive earrings and loud clothing, or if you’re a bit older you may remember Bet Lynch from Corrie, with her platinum blonde beehive? Leopard print, or animal print in general can look a bit, ahem, cheap, but I personally love animal prints! I actually had a good five years of my life where I pretty much lived in H&M brightly coloured leopard print vest tops, teamed with equally bight contrasting coloured cardigans – such good times! 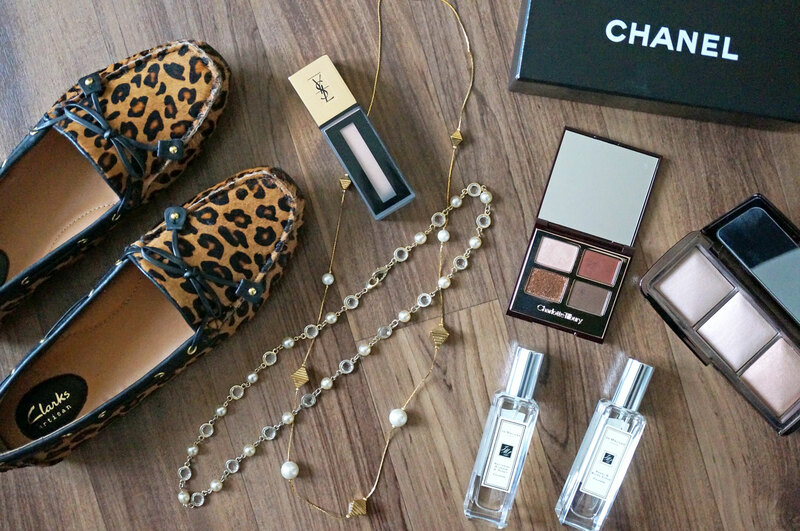 For those who might want to dabble with a bit of animal print though, without it being OTT, shoes and accessories are a great place to start. This is where my amazing new shoes come in! Their full name is the Clarks Dunbar Cruiser in Tan Interest Leather, from Shoetique. ‘Interest’ I’m guessing means the print. 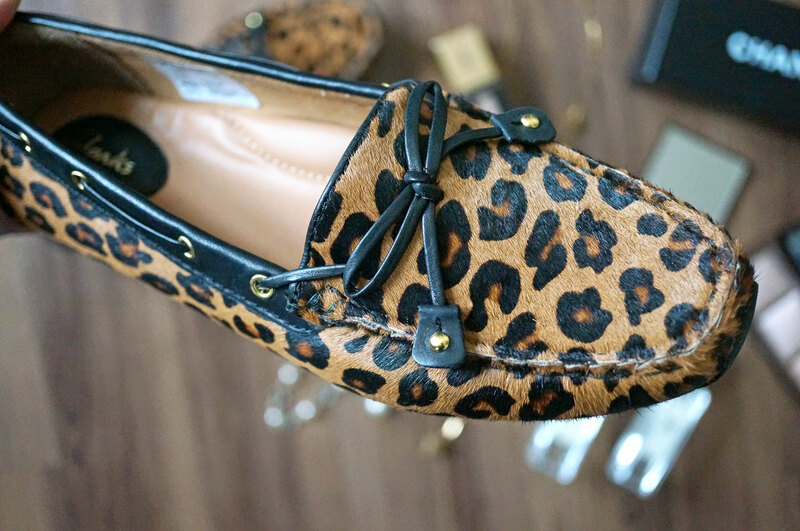 These super comfy flats are a traditional moccasin style (which I have to say wouldn’t usually appeal to me) they’re made with leopard printed leather and have a textured pony hair upper, and I LOVE these shoes! They’re perfect for jazzing up an every day outfit, they look great with jeans, leggings, or frocks. They really are super versatile. They also have a cushioned leather insole for comfort, amazing! So what do you think, have I tempted you to try leopard print out?? I’d love to hear your thoughts! I have super bad shoe envy right now!